istana, castle - 2x19 - Wrapped Up In Death - Promotional foto-foto. . HD Wallpaper and background images in the istana, castle club tagged: castle 2x19 wrapped up in death promotional photo. Thems be my boys!!! I love the chem, you can look at this picture and know they have a ball together. 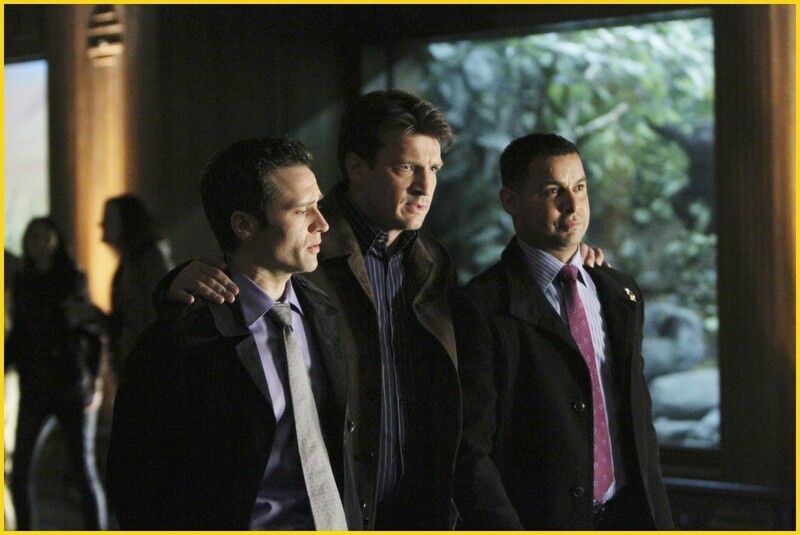 It looks like Castle is saying, "You guys go in and stall em while I go get the girl"
Hehehe it could be that! Hilarious comment!